But the body does not accept turmeric. When turmeric is consumed, the liver and stomach absorb some of it into their linings, where the herb can do nothing. Even when turmeric is not absorbed, the liver is actively trying to get turmeric out of the body. Some of the herb makes it to the small intestine where it absorbed into the bloodstream, where turmeric’s healing properties will have the most benefit. But only a small amount makes it to the bloodstream. There are multiple ways to increase absorption of turmeric, thankfully! 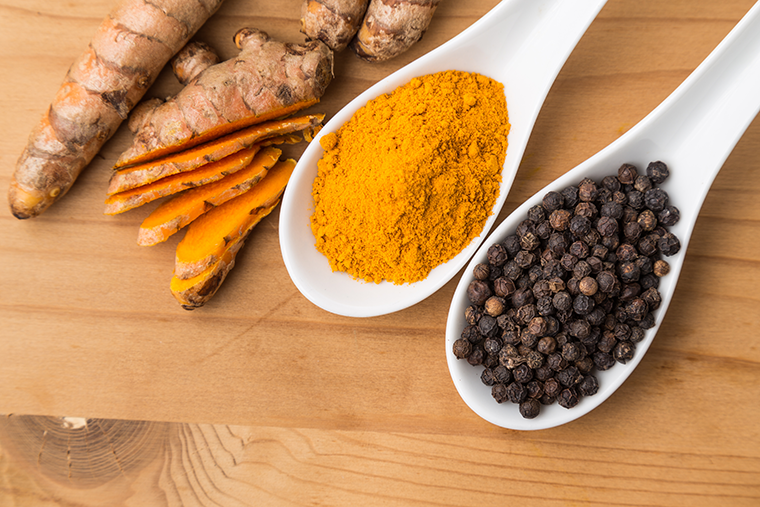 Just how turmeric’s beneficial ingredient is curcumin, pepper’s beneficial ingredient is piperine. Piperine is what gives pepper its flavor. Piperine also increases nutrient absorption. Interestingly, pepper is native to southeast Asia, specifically India. Pepper and turmeric have been a part of Indian cuisine for a very long time. Whether the people of ancient India knew how pepper was helping them to absorb turmeric is unknown, but they certain knew pepper enhanced taste and turmeric helped improve their health. 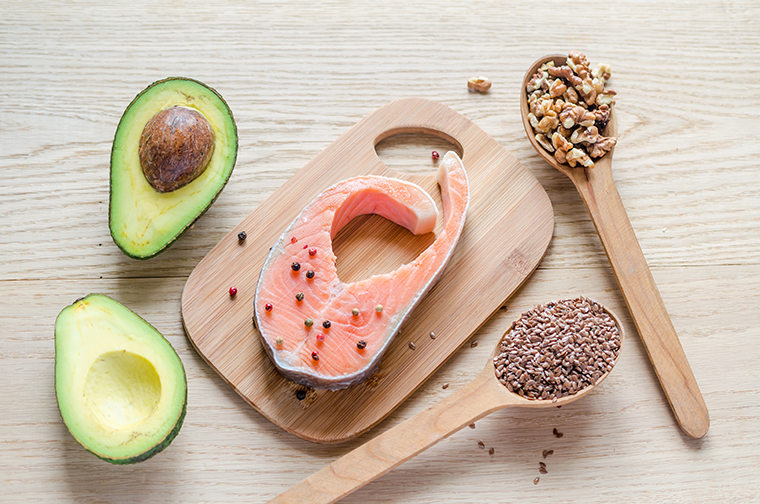 Healthy fat is known to help with vitamin and mineral absorption. These vitamins and mineral are fat soluble. Not all vitamins and minerals are fat soluble, but turmeric is! When turmeric is consumed with healthy fat, it is dissolved into the fat. The fat then carries the turmeric to the small intestine, so it is not absorbed too early by the liver and stomach. Beef and pork fat are good, but not as good as those listed above. Quercetin is commonly found in berries, red grapes, onions, apples, green tea, and wine. It is a flavonoid, or enzyme inhibitor that deactivates curcumin. When curcumin is deactivated, the liver and stomach do not recognize the turmeric. When the curcumin reaches the bloodstream, it reactivates. Interestingly, quercetin is not absorbed will by itself. But according to one study, quercetin increased curcumin absorption by 147%. Quercetin absorption is not significantly increased. Quercetin is used in many turmeric supplements. Knotweed is another herb that increase the absorption of other herbs in the body. Knotweed originates from Japan, but because of the plant’s pleasant appearance it is now all over the world. It may even be in your neighbor’s garden. Knotweed contains resveratrol. Resveratrol, like piperine and curcumin, is what gives knotweed it’s healing ability. Resveratrol also has a low absorption rate. However, when consumed with quercetin or curcumin or both, resveratrol absorption rate increases dramatically. According to one study, resveratrol absorption with quercetin increases by 310%, with curcumin it increases by 300%, with both resveratrol absorption increases by 323%. Additionally, resveratrol absorption with quercetin, curcumin, and piperine increases by 350%. Curcumin absorption also increases with resveratrol. When curcumin is taken with quercetin and resveratrol, its absorption increases by 188%. With piperine added to the mix, the absorption increases by 229%! Knotweed, like quercetin, is commonly used in turmeric supplements to aid in absorption. When including turmeric in your diet be sure to choose one these absorption aids as well. Piperine is the best of all the choices, but, as the study showed, quercetin and knotweed are great choices as well. Even though these are all natural, plant derived sources, it is still wise to consult your doctor before taking any of these products.